2014 has finally come to an end and can I call it a good year in terms of its cinematic output? No, but that’s not really the final word on the matter. I’ve heard many people decree that 2014 was an excellent year for movie goers, so it ultimately boils down to what you saw and didn’t see. There were a few flicks I’ve been told to pursue, such as “Gone Girl“, that evaded me. But as I must always point out, I have very specific tastes that one might consider ‘low brow’. While everyone is raving about “Foxcatcher” or whatever Oscar Bait that’s popular right now, I’d rather check out “The Pyramid“- which was setting itself up to be the worst horror movie of the year even before it actually became the worst horror movie of the year. The funny thing is that when I check them out on DVD, I actually find myself liking the more high brow stuff. I loved “The Hurt Locker“, “The Kings Speech“, “Life of Pi” and many others. But they usually end up coming to me. I don’t go to them, even if I regret my decision in the end. I just prefer pursuing horror, action and comedy over drama, romance and arthouse. This is why I always prefer saying “My favorite of the year”, as many of my decisions might force you to raise an eyebrow at me. So you’ve been warned and I hope this trip down MartialHorror’s dilapidated mental facilities is worth it for you. Part of the reason why this year didn’t impress me in regards to film is that I only loved a total of 9 movies. I’ve liked plenty more, from “Godzilla” to “Dumb and Dumber To“, but very little stood out as exceptional- even using my standards of quality. Yet my anti-happy list, which will be released in the near future, will be significantly longer. As I sincerely believe that most movies which get released theatrically have at least one thing going for them, this is problematic. 2014 was interesting though because it proved that cyber terrorism can be more effective than normal terrorism, as Sony bent over to touch its toes when hackers got a little frisky. All over a relatively average movie that no one will remember outside of this controversy known as “The Interview“. “The Amazing Spider-Man 2“, “The Hobbit 3“, “The Hunger Games 3 part 1” and especially “The Expendables 3” took their franchises to new lows, while “The Purge 2“, “Transformers 4” and “Dawn of the Planet of the Apes” exceeded everyones expectations. On a more personal note, freewebs chose to purge all of my older reviews, which killed any chance for another “Top 10 Most Read Reviews” list in the immediate future and caused my plenty of migraines. I’m slowly going through them and re-evaluating what was reviewed and re-writing all new content- along with posting the old. So maybe one day there will be a time when I am not ashamed of any of my written works. ‘Critiquing the Critics’ nearly died early in the year, but was reborn towards the end, only for its future to become uncertain based on my living circumstances. But I am optimistic and I hope 2015 is much better. So let us explore the few films which truly deserve recognition. 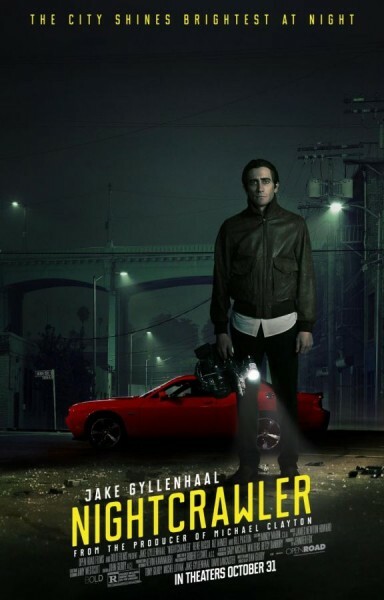 9) Nightcrawler– I bet you weren’t expecting something so beloved by the critics to appear on my list so early! Although it is on the bottom, so that sort of undermines its presence. The entire narrative of “Nightcrawler” is built around the performance of Jake Gyllenhaal- who deserves to win an Oscar for his work here. He’s simultaneously creepy, charming, manipulative, naive and thoroughly believable. Yet you can never take your eyes off him because he’s so fascinating! Expect a slow paced film designed to show off the acting and do not expect a movie that caters to the expectations of the masses. 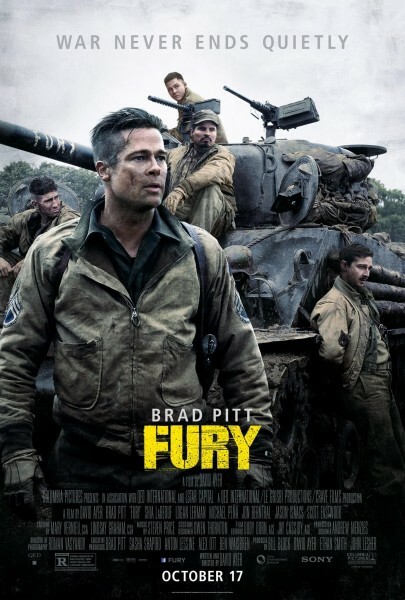 8) Fury– “Fury” has the narrative of an action flick, but is directed like it’s supposed to be arthouse. It rarely takes the break, constantly advancing the story or moving on to the next spectacular battle. Yet it does squeeze in character development and seems driven by emotions just as much as it focuses on spectacle. The director created a haunting atmosphere, but the action sequences are intense and exciting. The segment where some characters stay with a pair of women is terrifying because you’re not really sure what these guys are capable of. Very rarely do you fear what the heroes are going to do, while spending the rest of the movie fearing for their lives. “Fury” doesn’t necessarily break new ground, but it adds depth to a relatively conventional and familiar story. 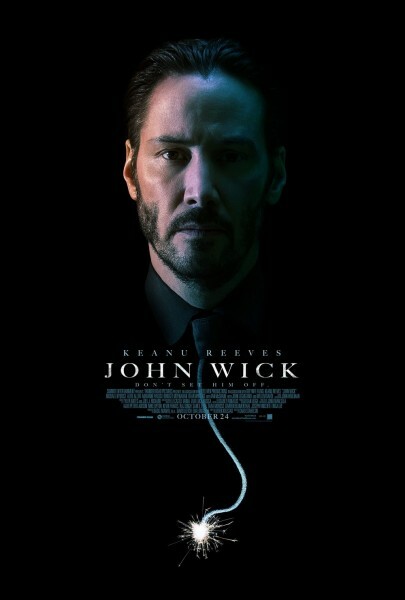 7) John Wick– I did tell you that I am a man who adores his action movies and “John Wick” knew what Daddy wanted. Despite liking gun play and kung fu, I’ve never been a ‘gun fu’ fanboy as it looks more goofy than cool to me…until now. The choreography used in the hand-to-hand and gun fights, especially when combined, stood out and I distinctly remember various moments of awesomeness. This is the type of movie where you and your buddies will be like: “Remember that part when this happened?” or “That was so cool when that happened” and so on. Yet “John Wick” isn’t just about style, even though it is mostly about style. It also has colorful characters whose witty dialogue leaves a lasting impression as well. 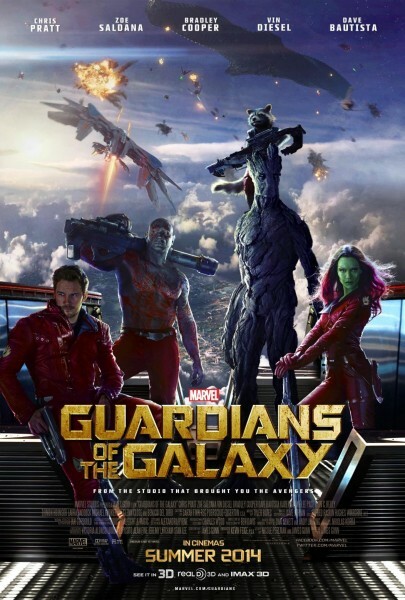 6) Guardians of the Galaxy– The best Marvel flick since “The Avengers“! It works for the traditional reasons- Amazing special effects being used for maximum impact thanks to brilliant direction. The action is epic when it needs to be and confined when it needs to be. Every vehicle, prop or race is uniquely designed so that the spectacle never becomes stale. The characters are interesting, develop as the story progresses and are very funny as well. Summer blockbusters can learn a lot from “Guardians of the Galaxy“. It’s a lot of fun! 5) Edge of Tomorrow– This is one of those movies that combines different genres, but in a way that the viewer feels like they got a lot of everything. Action? “Edge of Tomorrow” delivers plenty of exciting ‘mech-suit vs alien’ combat and cool training sequences. Science Fiction? While acting mostly as the setting, “Edge of Tomorrow” does explore many ideas that allows it to be classified as such (the original purpose of the genre). Drama? Watching the heroes change over the course of the film is moving, alternating between sad, inspiring and touching. Comedy? Admittedly it’s pretty dark, but when “Edge of Tomorrow” wanted me to laugh, I laughed. Thriller, perhaps even horror? There are some very intense, maybe even a little scary, scenes involving those aliens. 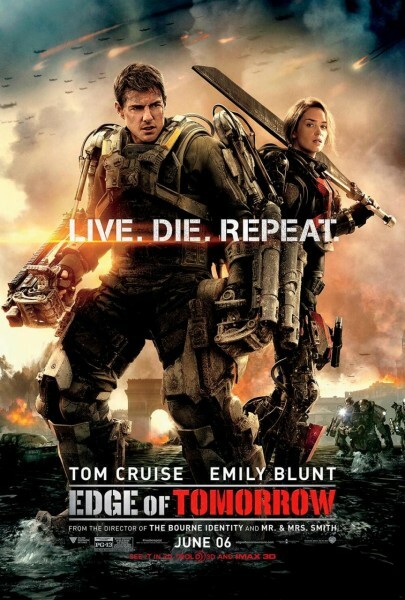 “Edge of Tomorrow” worked me on multiple levels and is more intelligent than the majority of its ilk. 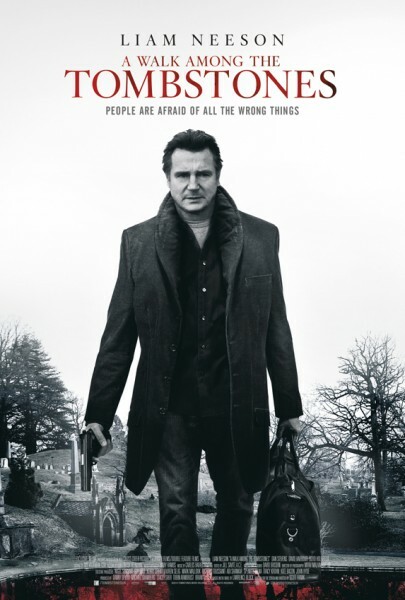 4) A Walk Among the Tombstones– This was probably the most under-appreciated movie of 2014, as critics oddly were indifferent to Liam Neeson’s latest effort. Maybe they were watching the film they presumed it would be- a “Taken” wannabe- instead of the film it actually was. Vicious, grim, bleak, haunting and other impressive words that I would usually not say other than to sound impressive, this one gave me chills. The beauty of this somber thriller is that I feared what it was capable of. There is some…er, twisted content that took some balls to show or even suggest. Boasting some of the most creative and unpredictable framing that I’ve ever seen (somehow making a kidnapping look like a love scene), “A Walk Among the Tombstone” practically gave me nightmares and it isn’t even a horror flick! 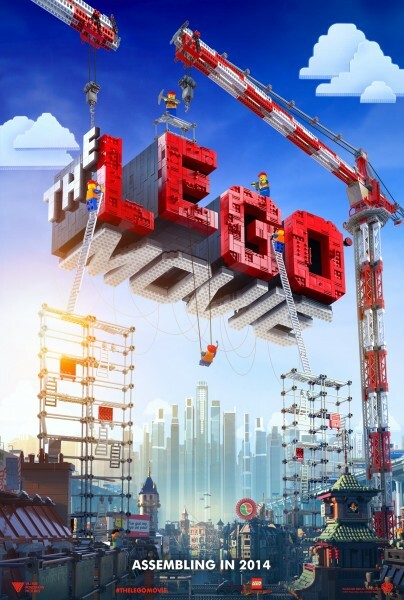 3) The Lego Movie– Who would’ve thought that ‘Product Placement: The Movie’ would’ve been one of the more delightful experiences of 2014…even though I wasn’t able to watch it until 2015. My reasons for enjoying this film are simple: It connected with me on every level. There is a lot of creativity within the humor, which always managed to make me laugh and yet it also knew how to tug on the strings to my heart. The ending reveal was cleverly foreshadowed, but it worked perfectly within the context of the story. The animation style consistently used the lego texture, reminding me more of stop motion than CGI, but it looked phenomenal. Fast paced, exciting, funny and moving- all at once. There is so much written and visual material that you’ll probably pick up on something new after every repeated viewing. Not ‘everything is awesome’, but “The Lego Movie” certainly was. 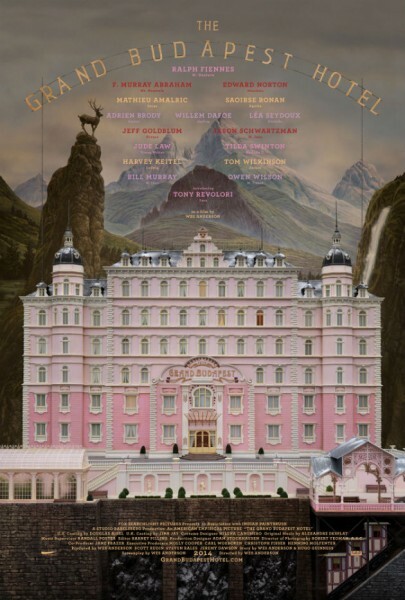 2) The Grand Budapest Hotel: I have to admit that I’m not the biggest Wes Anderson fan. I do understand the appeal as the man knows how to write characters and show off a unique, striking visual style. But something about the tone of his films rubs me the wrong way. I find them too depressing to be funny and the quirkiness ends up being distracting for it. I understand I am alone though, but “Grand Budapest Hotel” highlights everything I like about the director while showcasing none of the things I dislike. It scores on pretty much every level: Excellent cinematography, set designs, music, editing and writing. The characters are compelling, providing lots of room for the actors to really act. It’s swiftly paced with plenty of quirky divergences that you won’t expect, but it’s willing to take risks. “Grand Budapest Hotel” can be depressing, but it doesn’t wallow in it, so when it takes a darker turn it felt organic with the rest of the tone. A masterfully made movie that deserves all of its recognition. 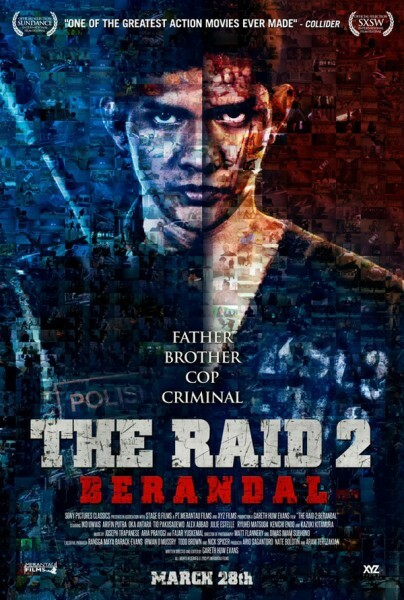 “The Raid 2” re-captures the awesome action element of its predecessor- delivering varied, exciting and highly advanced choreography filled with plenty of styles, weapons and scenarios. Yet the director chose to expand on that, developing a much more elaborate plot with characters who change over the course of the film based on the consequences of their actions- good or bad. The set design, cinematography and use of music gave the film an artistic flavor, but it never collapses under its own weight. Every storyline or character arc, whether superfluous or essential, captivated me. Even though it runs at around 2 and a half hours long, I barely noticed as everything is so smoothly paced. “The Raid” was a tough act to follow, but “The Raid 2” surpassed it while being a much different kind of experience. The Top 9 Movies That Tried to Redeem 2016. My Reviewtirement: The 10-Year Tale of a Wannabe Critic!